Love Handles lets look at the cause before the cure. Few people give a thought to the reason they have love handles. Some wonder if they were destined to have a bigger stomach or if their body is just built that way. Its a better option to stop feeling sorry for yourself and face facts. 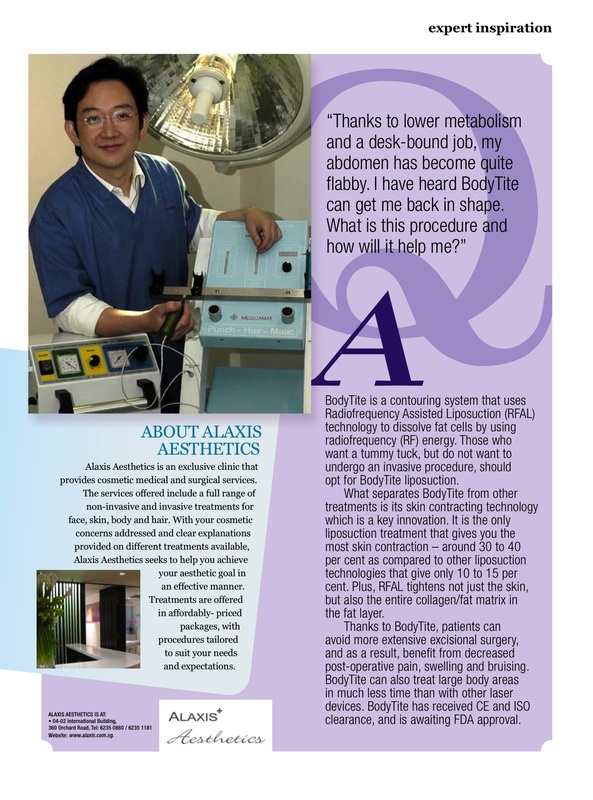 BodyTite is a sophisticated Non-invasive device using patented radiofrequency assisted liposuction (RFAL™) technology for effective body contouring and significant skin contraction. The first and only RFAL device on the market, BodyTite combines adipose tissue and blood vessel coagulation, simultaneous aspiration with precise dermal heating to achieve fast, safe, consistent and uniform results.